Create your own shape or image and then place it on a new surface with this Loew-Cornell Transfer Paper. It is waxless, greaseless and smudge-proof. 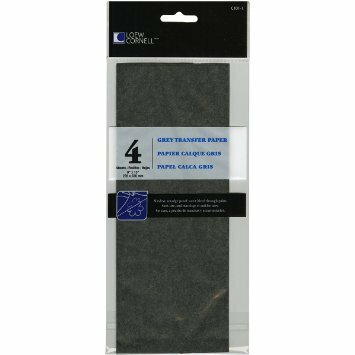 This grey transfer paper in a 4-pack is also erasable on sealed surfaces and won't bleed through paint. It is ultra-thin and easy to use, making it also suitable for beginners.